The Leader in EQ Plat Sales. Our staff are on call 24/7 to make sure you get what you need immediately. We are dedicated to providing you highest level of service possible in the industry. You will be given the fast and reliable service, along with amazing prices. One thing we take pride in is our delivery times. Our EverQuest Platinum delivery times average less than 5 minutes. Our number one priority is you the customer. We are always trying to improve, and we promise you, that you will not find better service than with OurPlat. Purchase EverQuest Platinum on any server and receive a bonus of 10% extra Platinum on your order. This is an OurPlat bonus offer so get in quick. Check our Cheap EQ Plat. Don't pay full price for EverQuest Kronos. Get your Kronos for a fraction of the price from OurPlat. We deliver straight to your character within 5 minutes of ordering. Kronos for 30 Days Gold Access are available at a discounted price. Please see our Buy Krono's for EQ1 or Buy Krono's for EQ2 page. Here are OurPlat, we are committed in providing you the best servic possible for EverQuest and EverQuest 2 Kronos. We understand your needs for EQ Kronos affordable and fast! Trust in OurPlat for your EverQuest experience. OurPlat - The EverQuest Specialists. Fast EverQuest Powerleveling 1 to 110 + AA's. 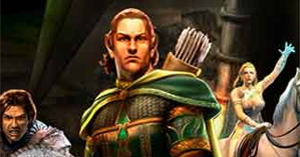 Purchase EverQuest Powerleveling or AA's. OurPlat offers fast leveling from our dedicated EQ powerlevel team. Transfer your character to Drinal for some amazing powerleveling deals.